There's nothing more precious to you than your family. They're the ones greeting you at the door after a long day at work. When life gets you down, your kids and grandchildren have a funny way of turning things around. That's why you've been working so hard all these years, right? Just about everything you do is for your family, to make sure they are happy, healthy and, of course, safe! But how do you keep them safe when you're sleeping, at work, running errands or visiting family on the other side of the country? Our sponsor SimpliSafe has been redefining home security for years. Their approach is simple but extremely effective. SimpliSafe offers a multi-layered, wireless home security system that does a lot more than sound an alarm when an intruder breaks in. It does that with a super-loud siren, but it goes deeper with SimpliCam, a panic button, motion sensors and a whole lot more. Yet, as powerful as a SimpliSafe home security system is, it's sleek, beautiful and has a compact design. In fact, SimpliSafe may be best known for the cool, sophisticated look of its base station and sensors. 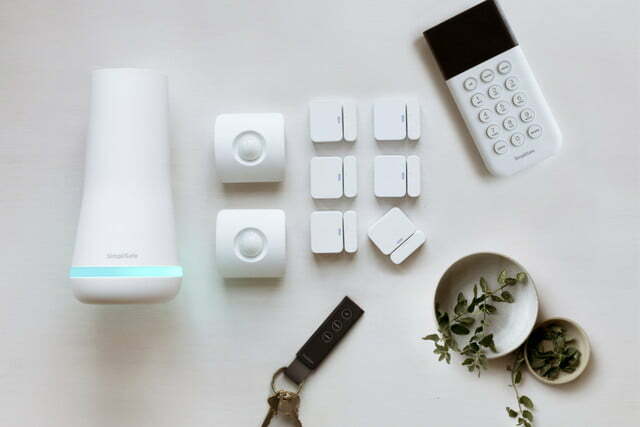 Incredibly, the new SimpliSafe is even more beautiful and compact than before. Keep reading: Home security systems are getting smarter! 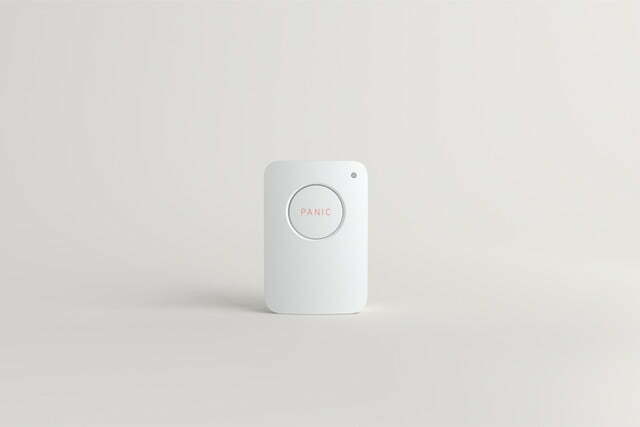 SimpliSafe has partnered with design firm IDEO, which is best known for working with Apple, to make each component smaller, more powerful and modern looking. Each component will complement your home. Its sensors are about half the size of previous versions. Yet, they are more powerful with nearly twice the range of those previous versions. The most noticeable change is to the SimpliSafe base station. The design is already a showstopper with its blue LED light ring that lets you know it's on. 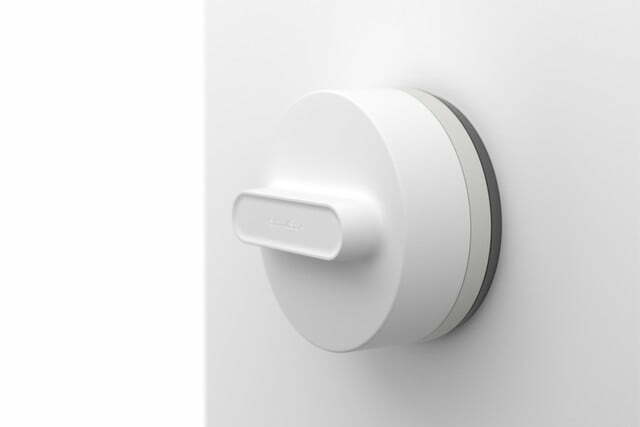 The base station interacts with you, including guiding you through the home installation process. It's natural to worry. When it comes to home security systems, you worried years ago about burglars cutting your telephone wire. Snap - no more home security! That was then. Now, you might be concerned that your wireless home security system will turn off when your internet isn't working. What happens if the Wi-Fi goes down? It's a good question that SimpliSafe has a great way to answer. SimpliSafe uses both Wi-Fi and cellular connections, so your home is protected even if your Wi-Fi is down. Plus, there's a 24-hour battery backup in place if your home's electricity goes out. SimpliSafe is a multi-layered home security system that protects your home from intruders. But it does a lot more than that. Think of SimpliSafe as covering your bases. It starts with super-loud 85db and 105db sirens. There are door and window sensors. SimpliSafe has devices to alert you to fire, carbon monoxide, freezing pipes, flooding and more, including a panic button (photo above). SimpliSafe has sensors to alert you to broken windows or even if the keypad is smashed. Not only that, but SimpliSafe is almost instantly alerted when your system is triggered. The best part may be that you're never far from home, no matter where you are. Use your smartphone to receive text message alerts or watch a livestream video to see inside your home. SimpliSafe will give you peace of mind knowing that you're protecting your family. Now, you can get a 60-day guarantee, with free shipping and free returns! Click here for an exclusive SimpliSafe deal courtesy of Komando.com! We've all gotten so accustomed to smart-home technology and voice-activated assistants like Amazon's Alexa. You're always making requests, such as, "Alexa, how's the traffic?" or "Alexa, close the garage door." Soon, you'll be able to use your voice to activate your SimpliSafe home security system. SimpliSafe plans to integrate the system with Alexa in the near future. Other plans include smart locks for your exterior doors (photo below). Plus, you'll soon be able to get video doorbells and more from SimpliSafe. Keep reading Happening Now for SimpliSafe's upcoming developments. It should be a snap to protect your family, your home and everything you've worked so hard for. Fortunately, wireless technology has transformed home security, with our sponsor SimpliSafe continually at the forefront of this trend. Click here to find out how you can install a multi-layered home security system in about an hour!